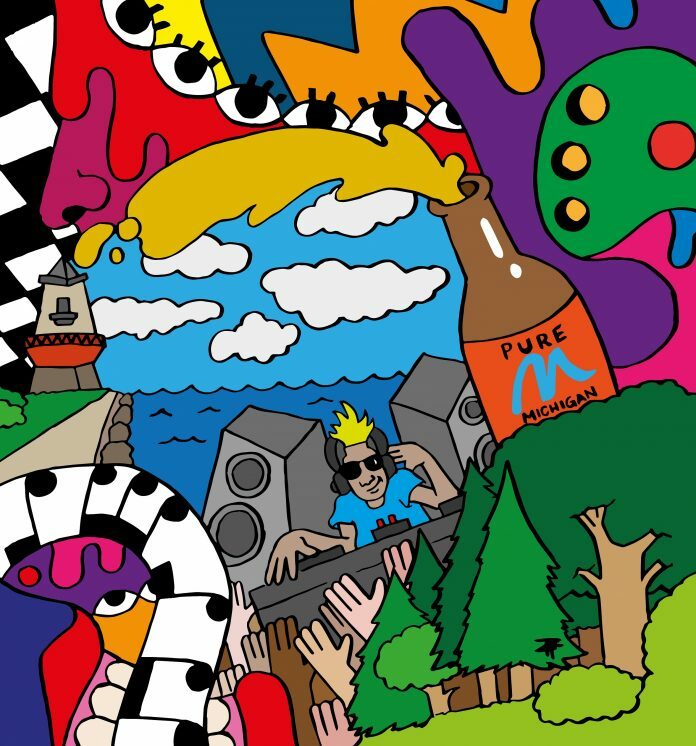 Pure Michigan today announced it is partnering with Detroit artist Sheefy McFly to install murals in Chicago as part of the Pure Michigan Seek AuthentiCITY campaign that showcases the unique cultures found in Michigan’s largest cities. Aimed at encouraging Chicago residents to visit Michigan, the murals will be located in the Uptown and Wicker Park neighborhoods of Chicago. Launched in June, the Seek AuthentiCITY campaign highlights authentic urban environments across the state. McFly is an artist and musician whose murals can be seen at locations around metro Detroit including Eastern Market, the Lululemon store at the Somerset Collection in Troy, and Two James distillery in Detroit’s Corktown district. The murals in Chicago can be viewed at 4813 Ashland Ave. and 1555 N. Western Ave. Aimed to inspire millennial travelers by highlighting the unique ecosystems that combine art and culture with people and foods, the Seek AuthentiCITY campaign utilizes influencers and video to introduce travelers to Detroit, Ann Arbor, Flint, Lansing, Kalamazoo, and Grand Rapids, encouraging them to experience the global diversity and authentic urban environments across the state. A key component of the campaign is a series of videos hosted by Detroit native and co-founder of Slow Roll, Jason Hall. The six-part series will take viewers on a tour of the selected downtown districts, telling each city’s story through business owners and residents. The campaign, with a budget of $1.2 million, seeks to attract and inspire visitors from key markets across Michigan and the Great Lakes region — including Chicago, Fort Wayne, Indianapolis, South Bend, Cincinnati, Cleveland, Columbus, Toledo, Green Bay, Milwaukee, and Pittsburgh — to take an overnight trip get to know one of Michigan’s vibrant cities. Visitors can use the hashtag #PureMichigan to share their experiences while enjoying the foods, cultures, and arts that Michigan cities have to offer.